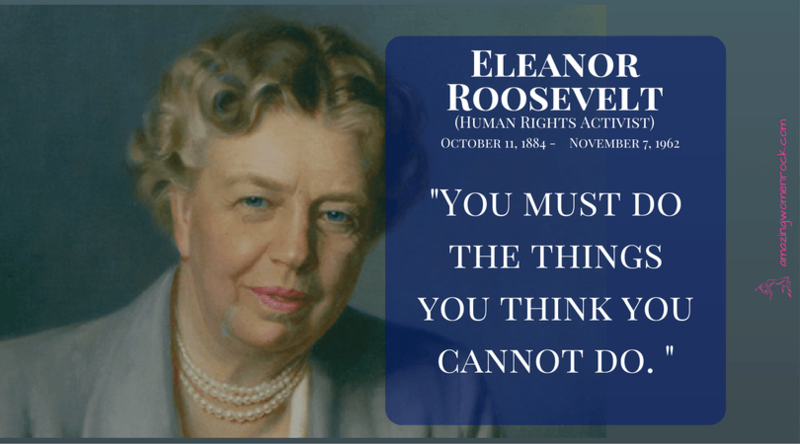 Anna Eleanor Roosevelt (October 11, 1884 – November 7, 1962) was the First Lady of the United States from 1933 to 1945. She supported the New Deal policies of her husband, Franklin Delano Roosevelt, and was an advocate for civil rights. Gabrielle Bonheur "Coco" Chanel (19 August 1883 – 10 January 1971) was a pioneering French fashion designer whose modernist philosophy, menswear-inspired fashions, and pursuit of expensive simplicity made her an important figure in 20th-century fashion. She was the founder of the famous fashion brand Chanel. Annie Oakley (August 13, 1860 – November 3, 1926), born Phoebe Ann Mosey, was an American sharpshooter and exhibition shooter. Oakley's amazing talent and timely rise to fame led to a starring role in Buffalo Bill's Wild West show, which propelled her to become the first American female superstar. Elizabeth Warren (born June 22, 1949) is the senior United States Senator from Massachusetts and a member of the Democratic Party. She was previously a Harvard Law School professor specializing in bankruptcy law. Warren is an active consumer protection advocate whose work led to the conception and establishment of the U.S. Consumer Financial Protection Bureau. She has written a number of academic and popular works, and is a frequent subject of media interviews regarding the American economy and personal finance.